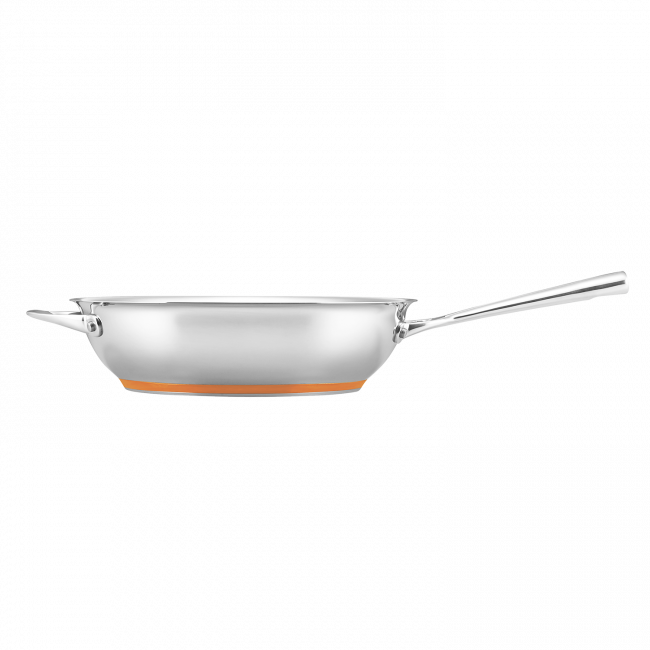 This Essteele Per Vita chefs pan is a pleasure to cook with thanks to the solid copper that is spread across the induction suitable base, allowing heat to disperse evenly and quickly. This results in optimum heat control and perfect cooking conditions favoured by the most discerning cooks. 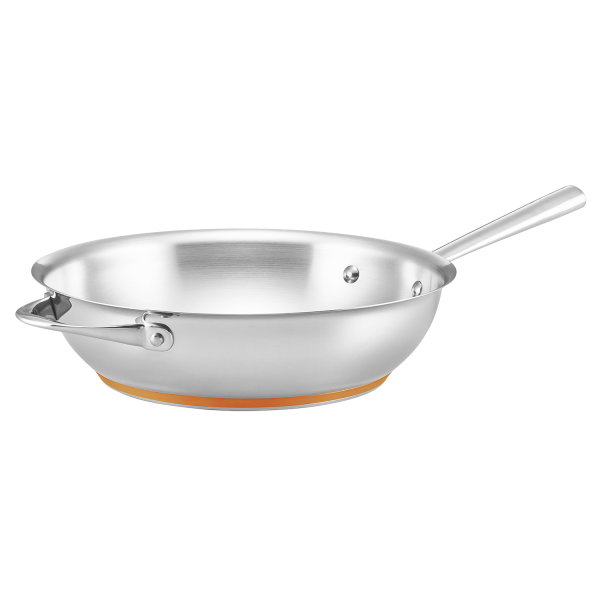 Perfect for a variety of dishes, the generous size and sloped side allows food to be moved around the pan quickly and easily. 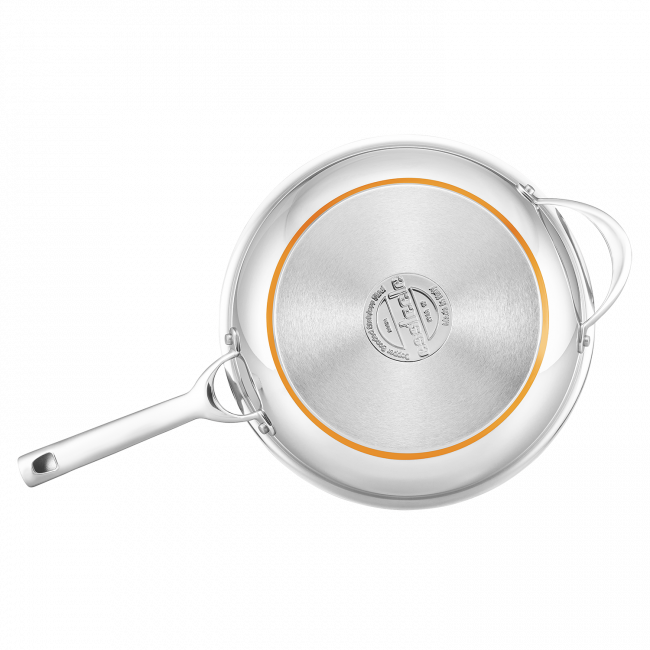 The elegant and refined design is crafted from high quality polished stainless steel for superior durability and shine. 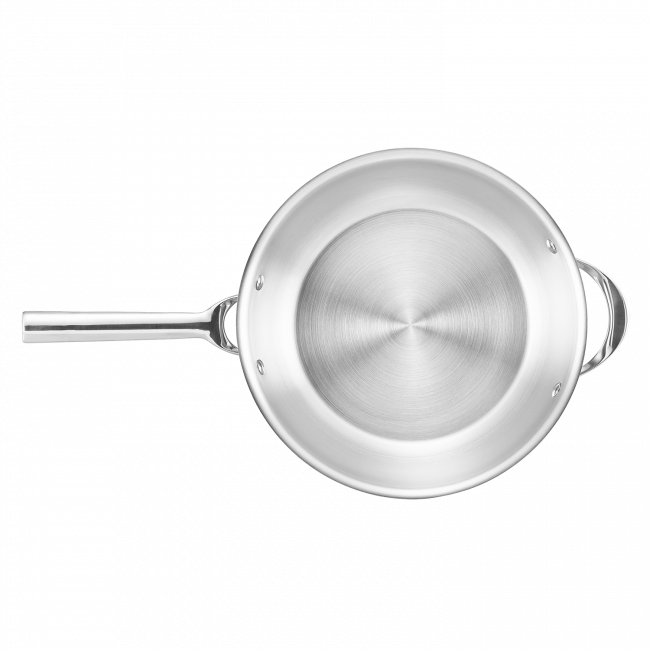 Handles and lids crafted from stainless steel ensure this 30cm Chef Pan will last a lifetime. Dishwasher safe and oven safe to 240°C for added convenience, this piece is sure to be a favourite for years to come.